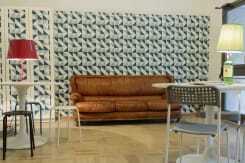 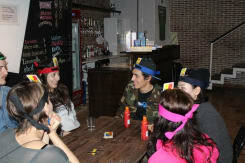 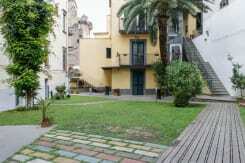 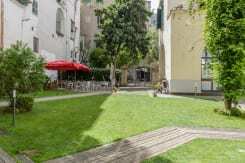 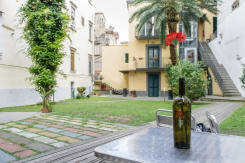 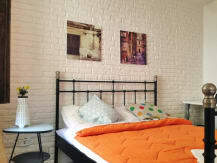 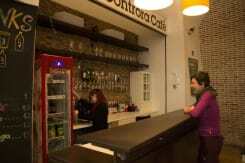 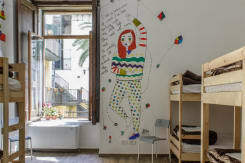 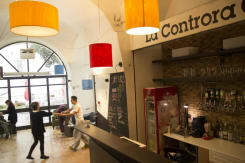 Hostel Naples La Controra: the only luxury hostel in Italy. 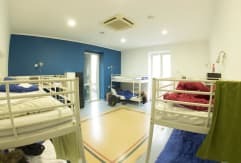 At hostel prices. 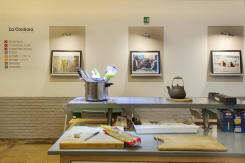 The Sun and the Dark, catacombs and blue sea: this is Naples, the city of the noise and the pizza, the Baroque and the melody. 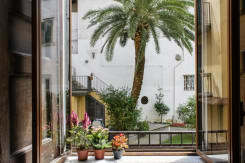 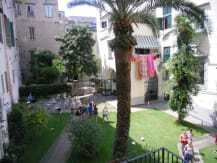 In this crazy place, come and chill out in the spacious garden among palms and citruses. 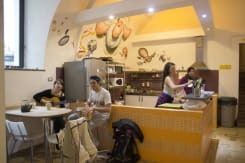 Hostel Naples La Controra is a monastery transformed into a flashpackers hostel. 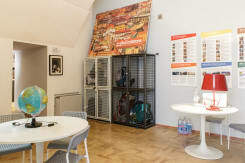 Our lounge always hostes exhibitions and events and you will have a unique opportunity to mix up with locals if you like. 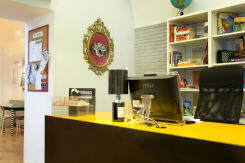 Buy a Metronapoli ticket (at the yellow kiosks as well as tabbaconists' (T) shops: the 3 euro day pass is a good deal). 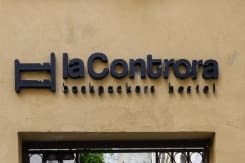 La Controra is close to the Salvator Rosa metro stop on Line 1: if you come from Napoli Centrale train station, take metro Line 2 until Cavour station, then change to Line 1, Piscinola direction. 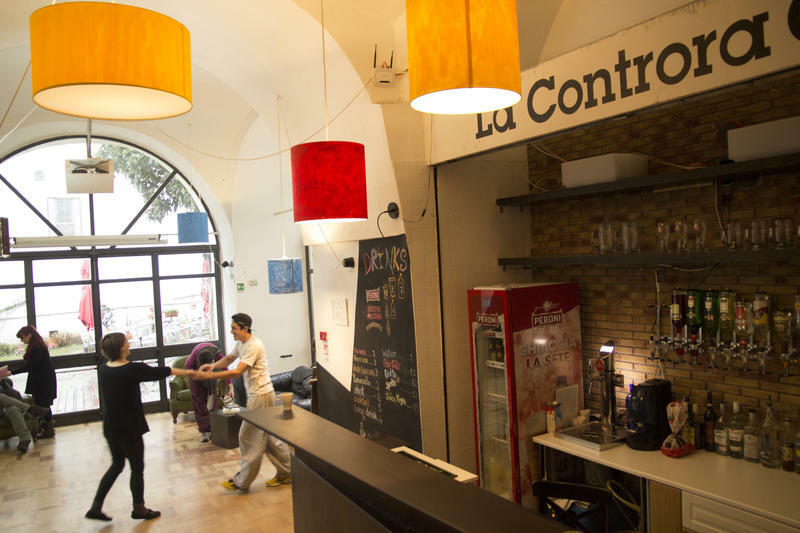 Once in Salvator Rosa station, take escalators up and follow exit signs to Santa Croce. 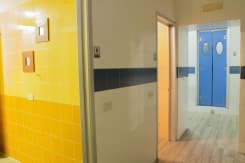 When you emerge, go down hill keeping on the left hand.